His EzineArticles have over 2.5 million views and over 300,000+ clicks (proven ability to convert traffic into clicks) that he’s converted into sales (according to him). He’s an affiliate marketer who agrees with me that PLR (Private Label Rights) are dumb. Our members who aspire to think in scale could benefit this interview. If you are an Affiliate Marketer or you’re an Internet merchant who is looking to help your affiliates grow their sales, this hour-long interview can provide you some key insights into how to navigate & leverage article writing & marketing to help build your business. Sorry, no transcript is available for this interview. Put your DNA into your articles. Without that, you’re not producing unique enough content. Once you find a strategy that works, why wouldn’t you want to full exploit that and scale it until results level off. If you’re an Internet merchant who has affiliates, consider writing smart article titles for your affiliates to write articles about. The big money/traffic is in the Mid-Tail I think instead of the long tail of your niche. Don’t write 1000 to 1500 word articles when you could split them in half to create (2) 500 to 750 word articles that will attract more traffic vs. one large article. Before you write & submit one brand new article, review your archives to make sure you repurpose & repackage existing unique content that is exclusive to your name. Editing is cheaper than writing. If existing articles of yours on your own website or blog has flattened out in terms of traffic attraction, consider submitting it to EzineArticles for a boost. It’s not new to you, but it’s new to our 30+ million monthly visitors who get to discover it. Affiliate marketing is not a 30 or 60 day game; but rather a long-term business. To get access to the massive outbound traffic pie (5+ million per month) that we send our members, to get in the top 100 members list, you’d have to submit 970 articles. They did, so you can too! In the start, you have to reach escape velocity where you invest an enormous amount of time to build your article inventory before you begin profiting from the effort. 250-500 articles is a good starting point to shoot for before to begin realizing a good enough return to justify continuing this strategy. You don’t just advertise once or twice or ten times in your business life, right? Why would you only write one or two or ten articles then? Instead, write & submit every day. 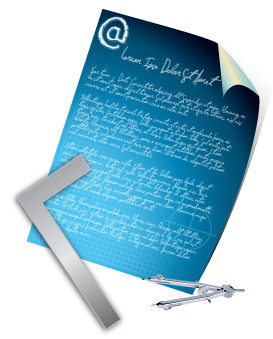 Invest more time writing new articles instead of obsessing on optimizing existing articles. This is often a waste of time after a certain point. Ghostwriters tip: NEVER blindly trust any ghostwriter, ever. Get a work for hire contract that specifically gives you exclusive rights to the content purchased AND always double/triple check each piece of content before using it. Copyscape is not enough. Use GYM (Google, Yahoo, Microsoft (Bing)) to do random complex exact match sentence searches. What did you learn/discover from this interview that you can apply to your article writing & marketing strategy? Begin article writing and marketing today with this 12-part starter kit full of helpful tips on article writing, marketing and syndication. 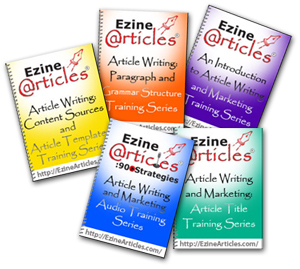 Learn the best ways to compose your article’s components, create your content and submit your articles to EzineArticles.com. This 8-part training series offers tips, strategies, guidelines and more to help craft an expert article title that can improve on the success of your article and increase your readership. This 7-part training series offers the basics of paragraph structure and English Standard grammar, punctuation, capitalization, word usage and agreement rules. Looking for article content ideas and a quick way to compose them? This 7-part training series offers strategies to generate new article ideas and (8) article templates to compose your next set of expert articles. Listen and learn with these (13) quick tips and strategies to help you write efficiently to increase your article inventory and effectively to bring more targeted, qualified traffic to your website. This series also includes a complete (15 page) PDF transcription. For many Expert Authors, article writing & marketing via EzineArticles.com is almost a way of life… Yet even these folks struggle to explain who we are and what it is we do. Earlier this week, I wrote an internal email to help the 50+ people who work full-time behind the scenes at EzineArticles to explain to their friends & family what it is that we do here. To be successful online, every website owner must attract traffic… and not just any traffic. They need a large volume of highly-targeted traffic so they can have an opportunity to sell their products & services. 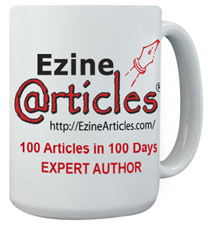 EzineArticles provides a platform and a systematic way for its members to convert their expertise into short, informative, evergreen, tips-based educational articles that attract high-value visitors back to their website. EzineArticles is highly efficient at converting article content into traffic… at a scale, rate and pace that is unmatched by competing platforms. 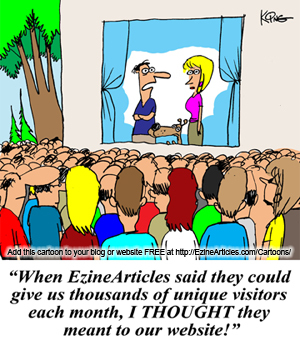 Last month, EzineArticles delivered more than 5 MILLION clicks to their members…FOR FREE. The value of those clicks ranged from 5Ã‚Â¢ to ~$1.50 per click if they had to buy them on the open Pay-Per-Click market. EzineArticles.com serves over 15 million unique visitors and over 30 million repeat visitors monthly. Soon, we’ll be announcing our first day with over a million unique visitors in a single 24 hour period. 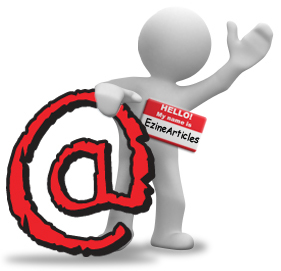 Tell us… what is EzineArticles.com to you? We’d like to hear your viewpoint perception. Take the 100 Articles in 50 Days Mega-Challenge! This week marks the half-way point of the 100 Articles in 100 Days Marathon Challenge (#HAHD). If you’ve already enrolled, you should be well on your way to meeting your goal of (100) submitted articles by July 1, 2009. If you haven’t entered yet, there’s still time! Simply doubling the original submission goal from (1) article per day to (2) articles per day puts qualifying for this challenge back in your reach. Be sure to follow us here and on Twitter for daily article writing & marketing tips, strategies & insights to help you succeed in a big way! Add a comment to this blog stating that you’re going to commit to be one of the Expert Authors who writes & submits 100 articles in less than the 50 remaining days. When you’re successful, you’ll not only receive the accolades of your peers, you’ll also get the benefits of increased site traffic, improved credibility and higher sales… PLUS, you’ll get one of these cool, limited-edition #HAHD mugs! Articles with excessive keywords or keyphrases deliver a poor user experience, destroys your & our credibility and therefore, it’s something in conflict with our goals. Until today our Editors had a different way of visualizing articles that were submitted with excessive keywords & excessive keyphrases. If you had an article rejected for excessive keywords or keyphrases, when you clicked on VIEW to see what the problem is, we were only showing you the excessive keywords that tripped our excessive trigger… when most likely it was an excessive keyphrase that resulted in the rejection. Effective last night, all accounts now are able to see what we see when we reject an article for excessive keyword/keyphrase usage. If you are one of the 4,750 members who has an article flagged for excessive kw’s/keyphrases, log into your account and click on VIEW to see what we see. To fix and get your article approved, please lower your excessive keywords to less than 2 per 100 words. In the solitude of the marketing trenches it’s sometimes easy to forget WHY we do what we do. This is especially true of our Expert Authors who may occasionally need a gentle reminder of the key reasons for writing and submitting a constant steam of fresh high-quality unique articles. In April, EzineArticles.com logged over 30 million visitors of which 15+ million were unique. Hint hint: You want your articles in front of this traffic! 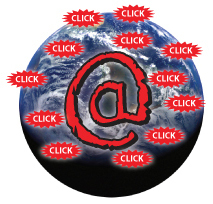 Last month, we delivered 5,406,167 clicks to our members’ website(s). Yesterday alone, we delivered 213,025 total clicks to our members’ websites. That’s 18.2% GREATER than our average for April. Each year, it takes more high quality articles to attract the same traffic level that fewer articles attracted just a few years ago. Most likely this has to do with an increasing content supply in the marketplace while the growth rate for the number of humans going online is slowing. The only way for any of us to stay ahead of this trend is to constantly increase your article inventory. It’s our goal to be your highest non-search engine referrer of traffic. You can expect us to continue to deliver solid traffic in exchange for your best unique/original article submissions — but we can’t do it without you! Want a Bigger Traffic Reward? Invest in writing, repackaging and submitting as many high-quality articles as your time, talent and energy will allow. Every article you submit increases your percentage of the take from those 5.4 million+ monthly clicks (and growing monthly). Just another great reason to follow @EzineArticles on Twitter! 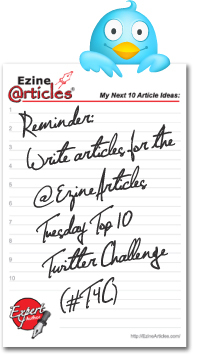 Late yesterday our Twitter followers received a little surprise tweet – the announcement of the new @EzineArticles Tuesday Top 10 Twitter Challenge (#T4C). Starting today, and on every Tuesday for the foreseeable future, we’ll be offering an assortment of prizes to the top (10) Expert Authors worldwide based on highest number of qualified article submissions from midnight to midnight CDT. This week’s prize is a pair of EzineArticles “My Next 10 Article Ideas” notepads plus a few other shwag goodies. All you need to do to qualify is submit a LOT of high-quality articles on Tuesdays and be sure you have a valid postal address in your Member Profile. That’s it! Would you like to know what the prizes are each week? Want a weekly contest reminder every Monday? This is the first of many new promotions designed to give our Expert Authors even more reasons to write and submit great articles – as if increased website traffic, enhanced credibility and additional sales weren’t enough! If you’re already involved in the #HAHD Challenge, then this contest is just a bonus for the work you’re already doing. UPDATE (May 22, 2009 at 12:05pm): The Tuesday Top 10 Twitter Challenge has been discontinued. If you have any questions regarding this promotion, please contact Member Support. Want another secret for increasing website traffic? Imagine you had a team of tireless sales professionals whose only job was to drive traffic to your blog or website 24/7. Best of all, they work for free, they each cost you only an hour of effort to hire and they’ll continue working for months or even years before they run out of steam. Think about it. Every article you have published on EzineArticles acts just like a highly-specialized sales agent working to sell you or your company to the Internet public. Every time you submit an article to EzineArticles, it’s like recruiting another member to your sales and marketing team. And when that article’s accepted, another Article Agent goes to work for you. Ask any EzineArticles veteran author and they’ll tell you that writing effective, keyword-rich titles for their articles is almost as challenging as writing the articles’ content. Yet doing so is definitely worth the effort! 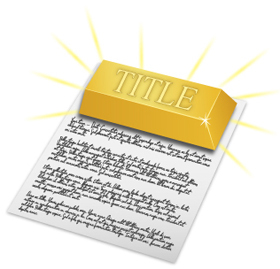 Here are some examples and tips that will help you write titles that are not only search engine friendly, but also work to draw readers into the heart of your article. – This article title is too short to get any hooks and the reader has to guess your topic’s angle. – This is better, but it doesn’t explain why someone should read your article. – Now you have picked up a 2nd keyword, “subwoofers” and a reason why to read the article.